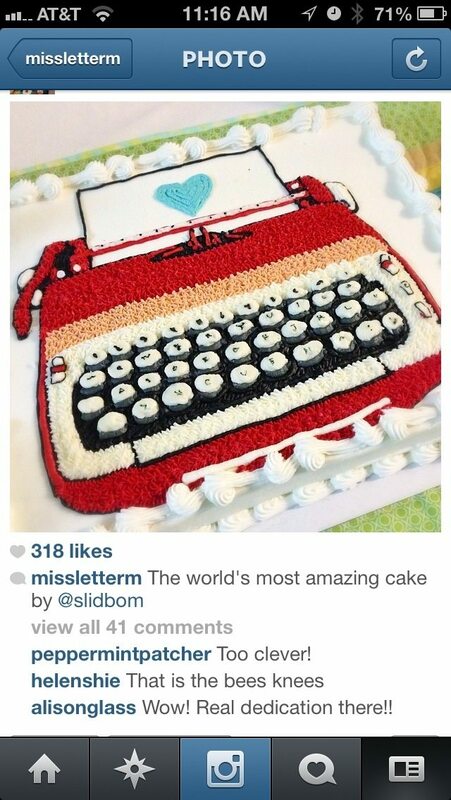 the melody miller typewriter cake. as i mentioned in my last post, approximately 38 seconds ago, our quilt guild had melody miller in last night as a special guest speaker. 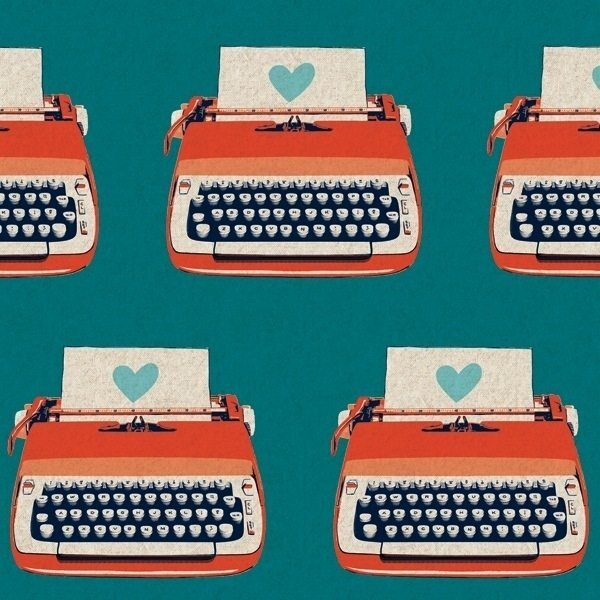 she makes a lot of super fun, bright vintage-y fabrics. 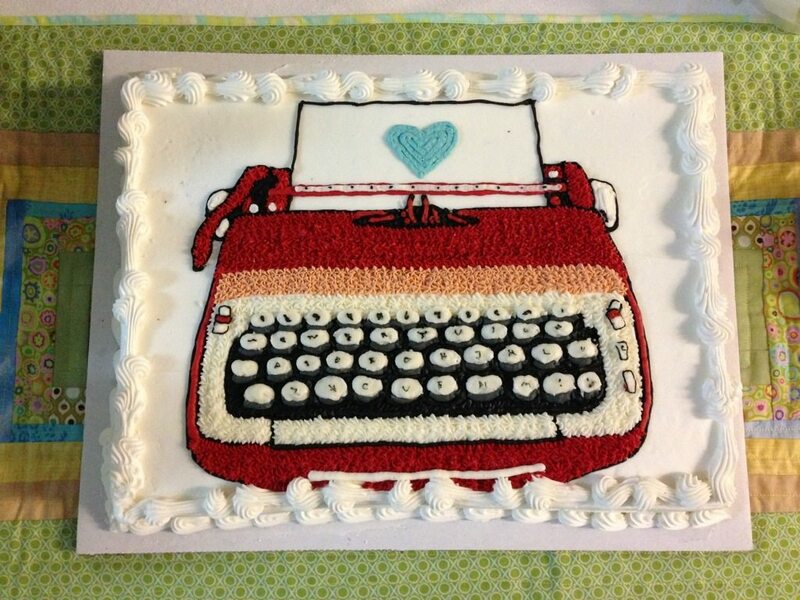 as soon as we knew she was coming, my pal lee suggested i put my cake making skills to work to make a little ode to melody miller in sugar-butter-flour form. and i was fairly happy with it. melody seemed to love it. and she posted it on her instagram. and then lots of other people loved it. and i’m pretty sure i’m on the fast track to fame and fortune. oh. 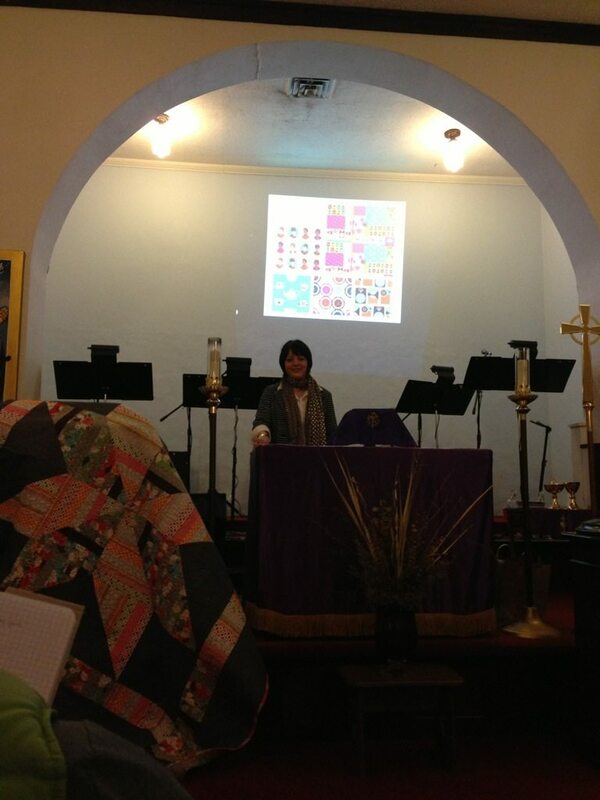 here’s a pic of melody giving her talk. (i think this was before siri started yelling out of my cell phone that she couldn’t understand me, even though i’m 99% sure i didn’t touch a single button). anyhooo… she seems very nice and fun. Sarah — the cake was awesome and your right it was a great meeting last night to bad about your class issue though. 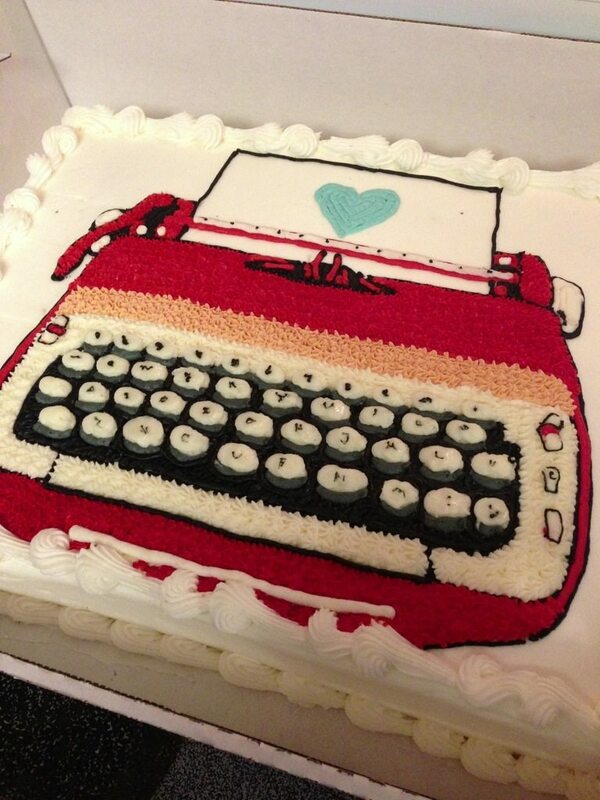 Literally the most amazing cake on the planet!! You’re the bestest!!! my new favorite bag of all time.